Before the first line is drawn on a plan, before the first piece of dirt is moved or the first nail driven, your home constructed by Horizon Builders begins with careful listening. Working together, you and Horizon Builders design a unique living environment that addresses the specific issues and features important to your individual needs. 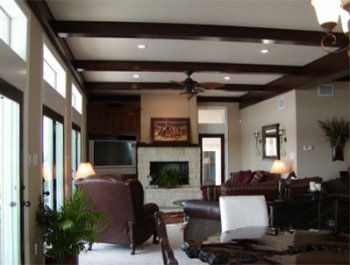 Jim Lane's ability to understand your needs, his meticulous attention to detail, and his determination to follow through and satisfy each customer have made Horizon Builders one of the fastest growing and most respected home builders in San Angelo, Texas. We invite you to contact Horizon Builders today. Together, we can make the home of your dreams become an emotionally satisfying and life-enhancing reality. Copyright © 2016 | Horizon Builders | All Rights Reserved.